Finding the right DUI lawyer in El Dorado isn’t difficult. You will need an experienced DUI attorney who will take your case seriously. Some law firms from the bay area take cases in the foothills. Too often those cases get delegated to inexperienced junior partners. Sometimes these cases are used as an excuse for a weekend ski trip. You need a lawyer who will put you first and not treat you as an inconvenience. 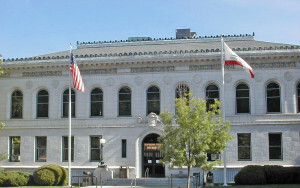 El Dorado DUI Lawyer Mark Sollitt represents clients in Placerville and the surrounding communities. Getting transportation out of town can be difficult when charged with a DUI. That’s why Mark Sollitt is happy to meet with clients outside of the office. Being able to meet with your lawyer in a comfortable location near home or work takes some of the stress out the legal process. After all, nobody likes dealing with Sacramento rush hour traffic. Initial consultations can be done over the phone at a time that works best for you. Mark’s priority is to take the stress out of a stressful situation. Not every DUI lawyer has the training to be considered a DUI specialist. The California DUI Lawyers Association has certified Mark as a DUI specialist member. He has studied DUI law, police procedure, and the technology police use to secure convictions. He has studied the limitations of blood and breath tests. He has seen the bad assumptions that police and prosecutors admit to during trials. He uses every bit of this knowledge every time he represents a client charged with a DUI. Although Mark does practice other types of criminal defense, he finds DUI defense fulfilling. DUI offenders are not hardened criminals. His clients come from all backgrounds from factory workers to medical doctors, he has defended them all and he can defend you too! Call Mark Sollitt to schedule a consultation now!